My little nephew Wilmer's christening is coming up and my sister asked me to help out with the invitations. 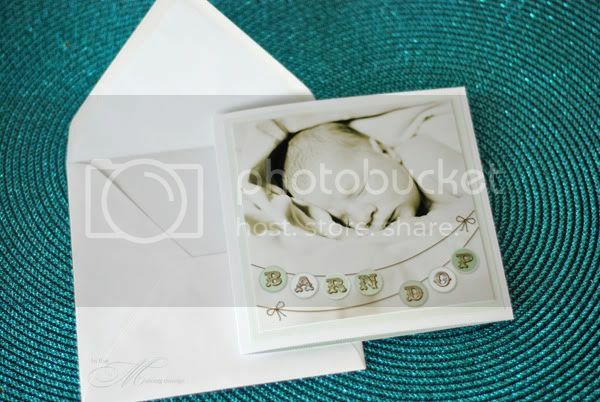 The game plan was to use a photo that I took at the hospital when he was just two days old, and to go with a sweet design in green hues. This is the front. The photo part is printed on Ilford satin photo paper which is attached to the two layered card. And the inside which has a full bleed pattern and a dooted outlined text area. 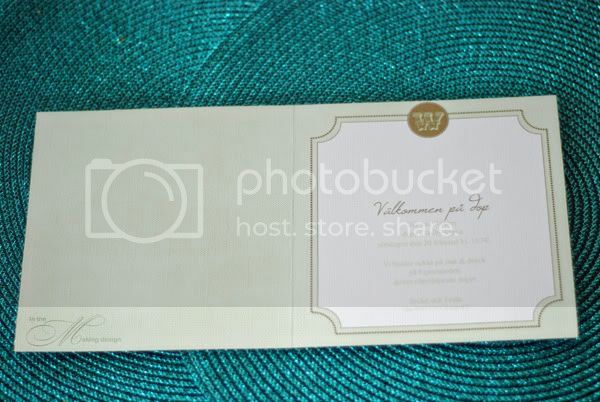 The card is printed on heavy textured white cardstock. What a little darling he is. I love that photo! Make a book with me! CK loves me! For real! OBW is back in da house!